Do you want to bring your stream to the next level? Start streaming with Tobii Ghost and let your viewers see where in the game you're looking. Bring a whole another level of insight to how you play! Stream with without the extension, record locally or on any other platform. 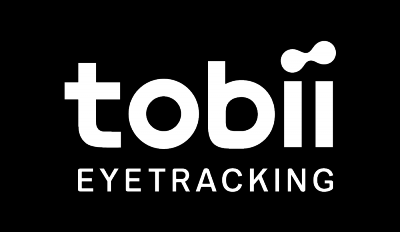 To run Tobii Ghost Extension on Twitch, youʼll need a compatible Tobii Eye Tracking device, Eye Tracking Core software and Tobii Ghost software. Ensure you have the latest software set up, calibrate and run eye tracking on your device. Take your stream to the next level by being able to show your viewers where you look in-game. Link your Twitch account to the Tobii Ghost software. Customize your overlay in shape, size, speed, color using Tobii Ghost software. Make sure the Tobii Ghost overlay is activated in your Twitch Extensions panel. If you haven't already installed the Twitch Extension you can find it here. Twitch currently does not provide the latency between the streamer and their server when showing "Latency to Broadcaster". That means for now you'll have to manually set this by adjusting this slider. Adjust latency to synchronize eye tracking with your video stream. First, enable the eye tracking overlay in your recording software. Add a Game Capture layer. Chose Capture specific window under Mode. Make sure it's on top of your game in OBS. Adjust the slider until you see the two circles match on your stream. Don’t forget to turn off preview if you don’t want to see it while playing the game. After syncing, hide the Tobii Ghost layer in OBS by clicking the eye here. The extension should now show up on your stream when you're live and your viewers will be able to customize their view or toggle the overlay on and off. Are you streaming on any other platform than Twitch, making video recordings or simply want to burn Tobii Ghost into the stream? This means you can watch back your VODs or clips with the eye tracking still there. Also, there's no need for the manual time sync. The downside is of course that your users can't customize it. Check down below how to set it up. 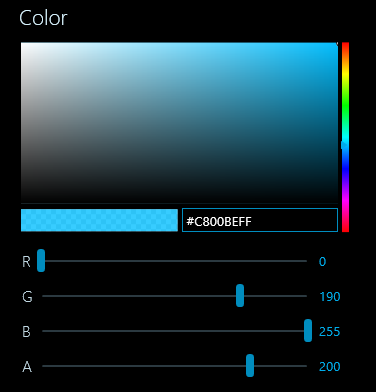 Customize it the way you want it, choose a color, shape, opacity and more. You can have the gaze overlay displayed live on your monitor by checking Preview in the application. Don’t forget to turn it off if you don’t want to see it while playing the game. Press '+' on the Source panel in the bottom of the window and select Game Capture. Choose settings according to the picture and press OK.
You should now have the Tobii Ghost layer showing. In the screenshot below we already assume you already have a Game Capture layer added. Make sure Tobii Ghost is on top of your gameplay.